When I was little, my Mom always made us chicken and tuna salad sandwiches for lunch. They were the best, with Lays Potato Chips and a pickle slice …I was a happy girl! The other day I realized that I have not made chicken salad in a while. 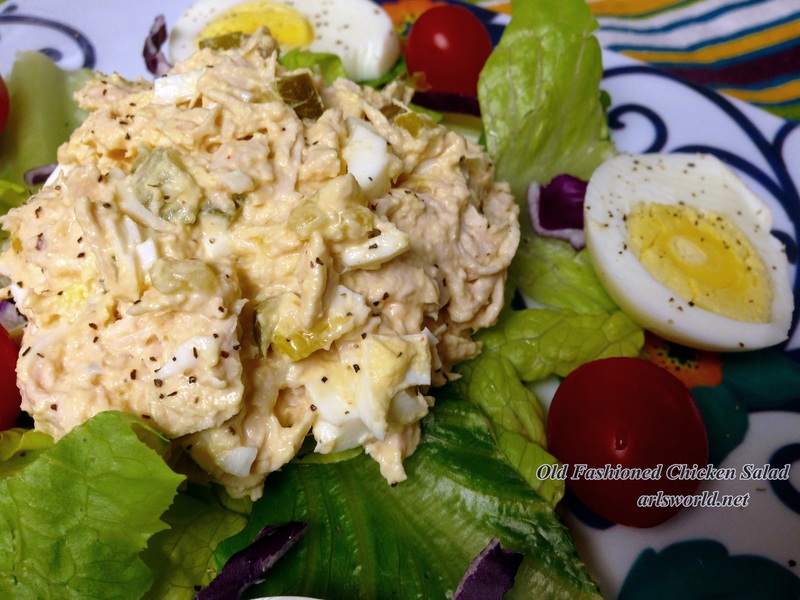 I love chicken salad so many ways, I like it with apples and nuts, with pineapple and the old-fashioned kind mom made with eggs, pickles and mayo …good stuff! Today I am still making mom’s chicken salad, sometimes just like she did and sometimes adding a bit of something extra like mustard or hot sauce. This chicken salad is great on toasted bread, with crackers or like I decided to have it, on a bed of lettuce with some delicious cherry tomatoes and hard-boiled eggs. I decided this would be perfect for our Fiesta Friday gathering over at Angie’s, The Novice Gardener. This salad is light but filling and yummy, perfect for a summer lunch! Of course, summer is over …with the start of school and all, but here in Texas it still feels like summer with a high today of 96, with a heat index of 104! I think I will fix a nice pitcher of ice tea to go along with these sandwiches, with this heat I think we will need a cold, tall glass! Oh, excuse me, gosh look at the time! It is time for Fiesta Friday, time to celebrate the end of another work week! Please come with me and join the celebration!! Serve this delicious chicken salad with crackers, in sandwiches or on top a bed of lettuce. Arlene I added the award you so generously gave me to my awards page. Thank you again! Thank you Sue! And thanks so much for taking the time and accepting your award and adding to your page. 🙂 I truly appreciate all your support. Wishing you a wonderful weekend!! I hope you have a fabulous weekend too. I’m afraid here winter is thinking about an early appearance. Can you imagine? Gosh, no I can’t …at least not here yet…today’s high 93. Thank you!! 🙂 Happy Friday! Thank you! I hope you enjoy it. Wishing you a great weekend! Delicious! A great dish for girlfriends’ lunch date! Chicken salad + hot day = lunch perfection! 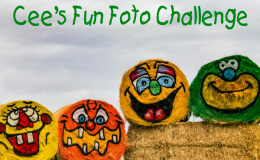 Sounds delicious and tempting photos too… your mom’s recipe sounds fabulous, Arl! My mum used to make us chicken sandwiches and tuna sandwiches too – and I used to make them for my children when they were at school as well… it must be a worldwide family tradition! 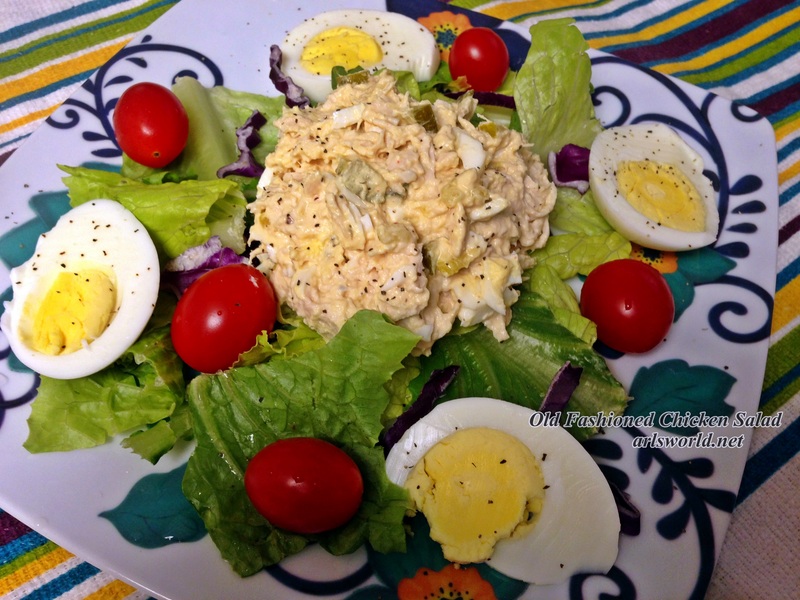 Your chicken salad looks so tasty and fresh – healthy comfort food – Perfect! Hi Emma! Thank you so much! Isn’t it a wonderful tradition 🙂 Those are fond memories of childhood and hopefully our children remember them that way as well. Wishing you a wonderful weekend! Sometimes, old fashioned is the best way to go! The salad is quick and easy and looks yum! Thank you! I agree 🙂 Wishing you a good weekend! I love any thing old fashioned, at least when it comes to food. Old school chicken salad is no exception. This looks awesome! It looks so yummy! Thanks for sharing at Angie’s party! Thank you! Me too. Wishing you a great weekend! I love good old fashioned chicken salad any time! I will have to try this recipe, thanks for bringing to the party! That is just so American! your post read like the films and tv shows we grew up on! brilliant! Hi there! Thanks so much! Good childhood memories 🙂 Hope you are having a great weekend! do remember that my memories are from across the pond! we are tonite at one degrees.. am thinking of turning the heating on! great post though!